Apple’s long-rumored augmented reality headset will have virtual reality capabilities built in, too. It’s codenamed T288, and it’s currently scheduled to be released in 2020. While Augmented Reality, or AR, maps digital objects onto the real world, Virtual Reality, or VR, immerses users entirely in a digitally-generated environment. The new detail came in a Friday report from CNET, which also included some very ambitious technical details of the project. The new information, if true, would be a major leak for the secretive company, with CNET citing unnamed sources and Apple so far declining to comment on the news. But, aside from the addition of VR, it seems to confirm similar reports dating back at least to November of last year. Some commenters with insight on hardware development have said creating a device with the specs laid out in the report would require Apple to push the limits of its engineering capabilities. Those specs include dual screens running at 8K resolution, connected wirelessly to a box with processors well ahead of anything on the market today. That seems in part to be a reference to AR’s potential to enhance productivity by transforming a wearer’s entire field of view into a virtual workspace. Such engaged, creative applications may help make AR more successful than VR, which, despite raves from dedicated gamers, hasn’t turned into a huge consumer category. AR, even in primitive forms such as the mobile phone game Pokemon Go, has had much broader adoption, pointing to even bigger potential as hardware advances. And since AR and VR have substantial technical overlap, combining them might add up to a more appealing product with little extra overhead. LOS ANGELES (Reuters) – Amazon.com’s Whole Foods Market sparked social media outrage after its newest store in its 365 grocery chain partnered with an Asian restaurant with the racially charged name of Yellow Fever. The independently owned and operated eatery – whose name is taken from the slang term for a white man’s sexual attraction to Asian women – is located in the 365 store that opened in Long Beach, California, on Wednesday. “An Asian ‘bowl’ resto called YELLOW FEVER in the middle of whitest Whole Foods — is this taking back of a racist image or colonized mind?” Columbia University professor and author Marie Myung-Ok Lee, wrote on Twitter. Whole Foods, which has eight stores in its 365 chain that was launched with a no-frills concept to win over millennials, declined comment. “Yellow Fever celebrates all things Asian: the food, the culture and the people and our menu reflects that featuring cuisine from Korea, Japan, China, Vietnam, Thailand and Hawaii,” said Kelly Kim, executive chef and co-founder of Yellow Fever, which also operates two Los Angeles-area restaurants. Kim, who is Korean-American, in previous interviews said she was aware that the name choice would be attention-getting and controversial. “One night, we just said ‘Yellow Fever!’ and it worked. It’s tongue-in-cheek, kind of shocking, and it’s not exclusive — you can fit all Asian cultures under one roof with a name like this. We just decided to go for it,” Kim told Asian American news site NextShark six months ago. A year ago she told the Argonaut, a local Los Angeles news outlet, that Yellow Fever means “love of all things Asian” and that public push back over the name had not been as drastic as expected. Some people on social media defended the news of the partnership with Whole Foods as part of a broader cultural trend. “This is no more offensive than @abc naming an Asian sitcom Fresh of the Boat or FOB- which is considered racists [sic],” wrote Lorin Hart, who uses the Twitter handle @CubeProMH. The meeting earlier today between North Korea’s leader Kim Jong-un and South Korea’s president Moon Jae-in was something most of us never expected to see in our lifetimes. Whatever happens next, we should pause to take note of this historic event and the lessons we all can learn from it. If you watched the video, it was a breathtakingly simple moment. An older, trim man stood waiting by a building on one side of a concrete barrier only a few inches high. A younger, heftier man strode confidently across a road and up to the barrier, reached his arm across it, and shook the older man’s hand. Onlookers applauded as the younger man stepped over the barrier and the two posed together for pictures. Then he took the older man’s hand and led him back across that same low concrete step. Afterward, there were many speeches, television, pictures with the leaders’ children, and champagne toasts. But that was the mind-bending moment when the leaders of North Korea and South Korea, two nations that have been at odds since North Korea’s founding 60 years ago, first briefly visited each other’s countries. Their encounter came with a lot of pomp and was met with a certain amount of skepticism from foreign relations experts in Japan, the United States, and many other countries who question whether North Korea will ever agree to dismantle its nuclear weapons. But the two leaders had another surprise in store: They announced their intention to end the Korean War–officially going on since 1950, although in a cease-fire state–by the end of 2018. Whether they keep that promise or not, and really whatever happens next, there are some important lessons we can all learn from this emotional day. 1. Just because something bad has been going on for a really long time doesn’t mean you shouldn’t try to change it. How many things do we just live with because it’s always been that way? Unless you’re a senior citizen, there has never been a time in your life when these two nations were not at war. Kim and Moon, who are 36 and 65 respectively, have both known the war as a constant from before they were born. And although the two nations have lived side by side relatively uneventfully since the cease-fire was signed in 1953, their navies have had skirmishes around their disputed border in the ocean and the Demilitarized Zone (DMZ) between the two countries remains a tense place. A formal end to hostilities should have been signed 65 years, except that the various nations involved, which included the United States, the Soviet Union and China, couldn’t agree on terms. Signing one now would be a big step toward a safer, better world. The skeptics on both sides of the DMZ are skeptical for good reason. Although we’ve never seen anything quite like today’s events, the two Koreas have flirted with peace before but made little progress negotiating actual treaties. Experts everywhere foresee that North Korea won’t willingly give up its nuclear arms, although as a start, Kim has said he’ll forego building the long-range missiles that could reach the United States. In the past, promising initiatives have been followed by negotiations that stalled for years, so the U.S. and South Korea are pushing North Korea to agree to deadlines for completing the process of denuclearization. So far, there’s no agreement to a deadline so the practial results of today’s meeting, if any, are hard to predict. 3. A little bit of progress is still progress. Moon and Kim announced plans to open a liaison office in the DMZ to improve relations. They also said they would arrange a reunion in the fall for Korean families separated by the war. Many of these family members will have been out of touch with their relatives on the other side of the line for decades. If nothing else, that’s a great reason to celebrate. The past few years have seen almost every major technology firm talk up the potential for artificial intelligence (AI) to transform the enterprise, providing the skills and compute barriers blocking progress can be overcome. On the skills front, Google, Amazon, and Microsoft, for example, have all set out plans to make the technology more accessible to enterprise tech teams, while encouraging users to use their respective cloud platforms to handle the compute side of the equation. There are also signs to suggest the demand for AI also fuelling interest in the use of high-performance computing (HPC) technologies, as enterprises seek out the processing power they need to make their AI ambitions a reality from other sources. Bhushan Desam, Lenovo’s global AI business leader, recently told Computer Weekly about how enterprise use of AI technologies is causing the traditional HPC user base to broaden. In recognition of this trend, the company set out plans in 2017 to invest $1.2bn over the next four years for AI-related research and development. “HPC is going to accelerate AI, but not just in the HPC community,” says Desam. “Healthcare organisations are using HPC to crunch millions of images in image-based diagnoses. In manufacturing, HPC is used to not only run engineering simulations, but also to predict when something will go down, so they can minimise downtime and improve operational efficiency,” he adds. HPC manufacturer Cray is another industry player, looking to tap into the growing demand for supercomputing resources from AI adopters. The company recently debuted CS-Storm GPU-accelerated server series, and – in doing so – expanded the range of fast-start AI configurations it offers to datacentres and machine learning users. The new system comprises a CS-Storm 500NX 4-GPU server, and a 1U server with two Intel Xeon CPUs and four NVIDIA Volta GPUs. Also including support for NVIDIA NVLink™ SXM2 GPUs, this significantly widens the range of servers available to organisations aiming to develop new AI-based applications and services. With this addition to Cray’s series of CS-Storm GPU-accelerated servers, the Seattle-based firm is now offering three different GPU-accelerated HPC systems with three different configurations of processors. Not only does such expanded configurability form part of the reason why the HPC market is expected to grow to anything between $44bn and $48bn by 2022/23 (7% compound annual growth rate), but stands to give the growing enterprise AI market a boost too, given the dependency of high-level AI applications on supercomputers. In terms of what the arrival of the 500NX 4-GPU system means for the CS-Storm series (and for Cray’s roster of products as a whole), Fred Kohout, the company’s senior vice-president of products, says the HPC company means datacentres should now be able to support a wider range of AI applications. “Cray provides multiple platforms, expertise, choice and performance, from scale-out clusters to scale-up supercomputers, along with storage and data management solutions that enable predictive modelling and data-driven discovery,” he adds. According to Kohout, the CS-Storm server family is intended to be used for applications requiring dense CPU: GPU ratios (2:4 or 2:8), such as those involving deep-learning neural network training. Cray also provides a variety of AI-focused products and services that go beyond HPC, he adds, that are just as important for companies looking to develop and implement AI technology. “To make it easier for organisations to move from smaller proof-of-concept projects to ‘at scale’ production deployments, we provide a full software stack designed for the rapid development and execution of AI applications,” says Kohout. By this, he means the Cray Programming Environment suite of programs and its Bright Cluster Manager, which allows users to manage the various components of their clustered HPC infrastructure. Such a range of tools can provide much-needed support to companies using the CS-Storm series as they develop their AI plans into full-blown projects. “The CS-Storm 500NX 4-GPU system provides another scalable configuration choice for customers as they consider and plan their AI system architecture. The Cray CS-Storm server family is designed to optimise compute density in a highly scalable and performant manner,” he says. “The design enables configurability and a wide set of options to tailor the platform to the customer’s particular needs to enable the best balance between compute, accelerator compute and network bandwidth based on the needs of the workload,” he adds. Most significantly, Kohout notes that different “AI use cases require unique combinations of machine intelligence tools, model designs and compute infrastructure”. It’s this variability that’s important in the current climate, since it’s arguable that progress in AI deployment and development has been constrained in the past by datacentres not having access to appropriate systems. For example, recent research from Gartner shows that interest in deploying artificial intelligence is still markedly higher than actual deployments, with only 4% of surveyed CIOs having implemented AI, while 46% plan to introduce it at some point in the future. An earlier release from Gartner also found that CIOs regarded AI as the most “problematic” technology to implement, ahead of cyber security measures and the internet of things (IoT). While reasons for failing to introduce AI will no doubt vary from company to company, it’s safe to assume many have been deterred by a lack of systems configured to their particular needs, as well as by a lack of supporting software that would help them operate AI-enabled high-performance computers. However, it is not Kohout’s view that the AI industry has been held back by an absence of adequate or sufficiently powerful supercomputing systems. “We see [the 500NX 4-GPU’s release] more as an opportunity to educate non-traditional HPC customers on the benefits of HPC systems applied to AI applications,” he adds. In other words, the 500NX 4-GPU represents an occasion for Cray to show that HPC isn’t just for a select elite of companies pursuing the most advanced AI applications, but can also be attuned and adapted to the goals of a wide variety of firms performing a variety of tasks. “Implementing machine and deep learning in many organisations is a journey – from investigation to proof of concept to production applications – that data science and IT teams undertake,” says Kohout. The expansion of the CS-Storm series therefore comes at an ideal moment, addressing the wide gap between the aims and achievements of firms in the area of AI implementation. This gap has also been noticed by other HPC companies, with Super Micro Computer, Hewlett Packard Enterprises, and Dell EMC releasing comparably adjustable systems in the past 12 months. Meanwhile, Cray itself teamed up with Microsoft in October to bring supercomputing-as-a-service onto the Azure platform. It will be largely by virtue of such releases that the global HPC industry will reach the kind of $48bn figures predicted by analysts. By extension, the enterprise AI market will be better placed to hit its own $6.1bn growth projections in the years to 2022, as increasingly flexible HPC solutions allow companies to fit AI to their needs, rather than forcing them to fit their needs to AI. To help support that stance, Goldman paints a simple picture of the role advertising plays on Facebook, downplaying the information it collects about you. Using a hypothetical example about a small bike shop in Atlanta, he emphasizes that targeted ads help small businesses reach customers—like, say, female cyclists who live nearby—more efficiently. The example, which the social network also uses on a general page explaining how ads work, does represent how some companies use Facebook. But ad industry experts say Goldman’s explanation leaves out many important realities of Facebook’s advertising machine. Four times in his blog post, Goldman stresses that Facebook’s targeting mechanisms allow users to see relevant ads. But nowhere does he define what “relevant” means in this context. In some ways, it’s broadly intuitive across all industries; advertisements for dentures or funeral insurance don’t run on Nickelodeon for a reason. But beyond simple demographics, a “relevant” ad to a marketer might target a specific personality type, or perceived emotional state. It might also be designed to take advantage of an already vulnerable population. That can quickly get a lot more involved than just people who like bikes. “We already have been seeing the results of negative segmentation we saw in the past before, like when cigarette companies were targeting low-income people,” says Juan Mundel, a professor at DePaul University who has studied Facebook advertising. Because the social network has so much data, it’s possible to target hyper-specific audiences with extreme precision. That means, as Bloomberg reported in March, predatory advertisers can exploit Facebook’s tools to sell shady products to the masses, like diet pills. “Facebook also knows when you’re motivated to do something, when you’re feeling down, when you’re feeling all sorts of emotions,” says Mundel. The social network leverages that information for advertisers; the Intercept discovered earlier this month that the company has developed a new service designed to predict how consumers will behave in the future, like when they’re likely to switch from one product brand to another. That level of psychological parsing goes far beyond what Goldman outlines. Goldman is right to point out that Facebook has much in common with traditional forms of advertising like television and print, but the difference is companies who use Facebook have a near-endless number of data points with which to target their ads, and can show them to much narrower slices of the population. “Facebook is the same thing, but there’s 60,000 channels and weird ways to combine them as well,” says Kane Jamison, the founder and managing director of Content Harmony, a marketing agency that frequently uses Facebook to advertise. Throughout Goldman’s post, he stresses that users can control their ad experience by visiting their Ad Preferences menu. At the top of the screen, you will see Your interests, which Facebook says it generates based on your activities on Facebook, such as pages you may have liked. It’s not clear whether some of these categories are algorithmically generated, and Facebook would only say they are based on past actions on the platform. The categories range from intuitive to bizarre. Mine, for example, include head-scratching topics like “Laser,” “Steel,” “Everything,” and “Authority.” If you hover your cursor over each one, Facebook ostensibly tells you why it first appeared: “You have this preference because you clicked on an ad related to Everything.” Huh? Advertisers have a stunning number of categories to sift through—ProPublica has collected over 50,000, including those only marketers can see. You can remove any interest associated with your profile by clicking the X in the top right-hand corner. Toward the bottom of the screen, under Your information > Your categories, you can see other information Facebook has collected about you, based on your activities both on and off the platform. There, you might notice that Facebook has categorized you as a “newlywed,” “away from family,” or “close friends with expats.” You will likely also see the type of browser and phone you use. You can remove any of these categories as well. The Ad Preferences menu is hard to find, difficult for the average user to parse, and unclear about how Facebook compiled the information. Goldman is right that the menu allows you to tailor your experience—you can even opt-out of ads for alcohol, children, and pets entirely—but it’s not designed in a way that allows users to understand how their information is being collected in the first place. “They only show you four rows of content. The rest you have to open up with a pull-down menu, it’s designed in a way that’s not user-friendly,” says DePaul’s Mundel. All the ways marketers and advertisers can combine these data points to make inferences about users also remains unclear. Of course, they can be used in fairly standard, innocuous ways. A local coffee shop, for instance, might understandably target people who already like Starbucks and pages like “Need My Morning Coffee.” But a study published in Proceedings of the National Academy of Sciences late last year found it was effective for marketers to also target specific personality types, deduced by a single Facebook page users had liked. For example, the researchers assumed people who liked the page “Computers” were more introverted, and targeted ads to them based on that personality type. They found users were significantly more likely to click on the psychologically tailored ads. Facebook marketers rarely however stick to one category to target you. To identify an audience who will engage with a specific advertisement, marketers need to know how to best combine these categories. “Interest doesn’t mean you like the topic, it just means you keep looking at it or something like that,” says Content Harmony’s Jamison. A user might, for example, show an interest in Donald Trump, but it doesn’t mean they like the president, it just means they read stories related to him. To target people who genuinely like Trump, marketers would need to combine an interest in him with another category. But users don’t always know how these combinations happen, or why, making it difficult to know the exact reasons you may be seeing an ad targeted to you. Facebook does allow you to click the three dots in the corner of any advertisement and view some information about why you’re seeing it, but it’s difficult to get a clear picture. In his blog post, Goldman says that advertisers on Facebook use three kinds of information to target you: data you’ve provided to the social network (like your age, or a page you’ve liked), information an advertiser may already have about you (like your email address), and your activity off Facebook (like your browsing history). “The fourth one that is very clearly missing is information from third-party data brokers,” says Jamison. In March, Facebook announced it would wind down its Partner Categories program, which allows advertisers to use data from third-party data brokers like Axiom to target campaigns. 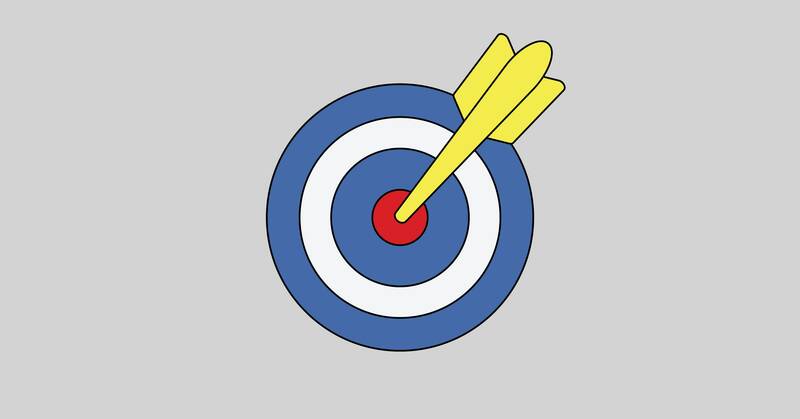 It’s what allows marketers to target you based on estimated income, for example. In exchange for use of their data, Facebook gives the data broker a cut of the advertising sale. Partner Categories officially shuts down next month in the European Union—the same day a new, strict privacy law, the General Data Protection Regulation, goes into effect. Elsewhere, Partner Categories will be winding down over the next several months. In other words, it’s still in effect—but Facebook makes no mention of it in its explanation of how advertisers target users. Over the last several months, Facebook has taken steps to make its advertising platform more secure and transparent. In October, the social network announced it was hiring 1,000 more people for its global ads team over the next year, and said it would start making all ads from a company visible to anyone, not just the ads targeted at them. In April, Facebook also imposed greater restrictions on organizations who buy ads for hot-button issues like immigration. These are good steps, and will likely make Facebook more resilient against the kind of misinformation campaigns that exploited its tools during the 2016 presidential election. But for the average user, Facebook’s advertising system is still a black box. By under-explaining its complexities, Facebook likely also only makes the confusion worse. LONDON (Reuters) – Britain announced on Thursday a 1 billion pound ($1.4 billion) joint investment in the artificial intelligence (AI) industry to capitalize on what the government sees as a competitive advantage in the sector as it prepares for life after Brexit. The deal is the latest in a series of targeted public-private investment pacts in the government’s industrial strategy that aims to modernize Britain’s economy and address decades of regional and industrial decline. “It’s evident that Britain is a place that people want to come to for AI,” business minister Greg Clark told Reuters during a visit to a facility in London that nurtures early-stage tech businesses from across the world. Governments worldwide are plowing cash AI to keep up with international rivals and seeking to harness its power to transform industries from transport to agriculture. The European Union said on Wednesday it would boost AI investment by about 70 percent to 1.5 billion euros ($1.8 billion) by 2020 to catch up with Asia and the United States, which are each investing at least three times more than Europe. Despite offering less investment, ministers said Britain had advantages because it had established research capabilities, boasted a global financial center in London and hosted the headquarters of many major firms. “The cross-fertilisation that is at the core of the impact of artificial intelligence can happen here more easily than elsewhere,” digital, culture, media and sport minister Matt Hancock told Reuters. The government said the AI industry could generate 232 billion pounds for the British economy by 2030. Britain’s industrial strategy is a flagship project for Prime Minister Theresa May, but critics say it lacks detail and any measurable progress since it was launched two years ago. The strategy has focused on areas such as high-tech manufacturing, AI, cars and battery technology to help rebalance a services-based economy with declining traditional industries. The investment announced on Thursday includes nearly 300 million pounds of private investment in projects such as a University of Cambridge AI supercomputer, and cash spent on European bases in Britain for Japanese and Canadian venture capital firms. Those funds will be matched by more than 300 million pounds of public funding, on top of an existing 400 million pound budget. The funds will be spent on teacher training, research and developing regional technology hubs to explore how AI can be used in industries such as law and insurance. A Center for Data Ethics and Innovation, look at ensuring the safe development of data driven technologies and ways to protect consumers, will also be set up. Like the Empire State Building observation deck and a Circle Line cruise ship, the view from the top of a double-decker bus in New York has long been reserved for tourists and maybe the occasional local cajoled into showing them around. The bus part, however, is about to change: Starting this spring, Staten Island commuters will begin boarding blue-and-yellow double-deckers that will whisk them from their outer borough homes to the heart of Manhattan’s business district. 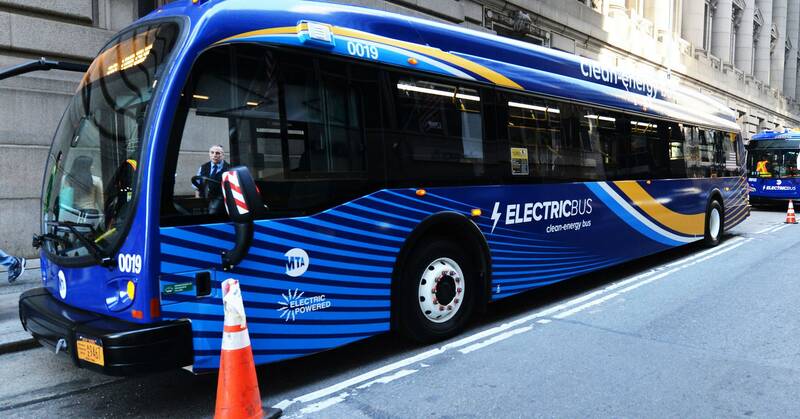 Yes, New York City is getting a bus makeover, the Metropolitan Transportation Authority announced this week, complete with 10 electric buses, already testing in Manhattan, Brooklyn, and Queens. And if you can believe it, the addition of shiny new vehicles to the fleet isn’t the most exciting thing about it. The MTA is also giving the city’s bus system—all 325 routes and 16,350 stops, used by 2.4 million riders every weekday—a “top-to-bottom, holistic review and redesign,” its first in decades. By reexamining the entire bus system, the city has a chance to fix its routes, ease congestion, give better options to transit riders, and maybe even relieve the pressure on its strained subway network. In terms of direness, this revamp is closer to an episode of Hoarders than your standard spring cleaning. Since 2009, New York City’s annual bus ridership has plunged by almost 11 percent, even as the city’s population booms and its overcrowded subway flirts with collapse. The pattern repeats itself all over the country. In the LA area, annual ridership is down 25 percent over the same period, as more cars plug up highways and side streets. Austin, Texas, Denver, Colorado, and Washington, DC—all with growing populations—each saw bus use drop in recent years. The problem isn’t the bus itself. The success of bus networks in countries like Brazil, China, and Germany—where nearly 100-foot-long human-toters have their own lanes and traffic signals, and race through congestion at 25 mph—makes clear that people are down with the things, as long as they’re practical, efficient, and safe. In Manhattan, buses average 5.5 mph. Chances are you could jog at that pace. Part of the problem is that New York’s bus system was designed around the city as it once was, with lines connecting to the streetcars, busy wharfs, and big businesses of the time. The city has changed, of course. The bus network, not so much. Take the three lines that terminate in Port Richmond, a Staten Island ferry terminal. Those were probably super convenient—until 1962, when ferries stopped using the port. A recent series of radical bus redesign projects have shown that smarter routing and scheduling can make all the difference. In 2015, Houston cut low-frequency routes in favor of a high-frequency grid that operates 24/7, and improved connections to the city’s light-rail network. Transit ridership climbed 7 percent. Seattle, Portland, and Columbus, Ohio, have seen similar results from their own network rejiggerings. New York’s plans are still a bit sketchy, timeline-wise, though transit advocates are heartened by the involvement of new New York City Transit Authority president Andy Byford, who stepped into his role in January after establishing himself as a get-‘er-done kind of transit official in Toronto. We do know, however, that the redesign effort will kick off in Staten Island, where new routes (announced last summer) will have their debut in August. But how does one go about redoing an entire city’s bus network, and making it easier for residents to get around? First things first: gathering data, so you can fit routes and stops to current patterns of living, working, and commuting. Fortunately, most cities have access to a wealth of data about how people are moving around inside of them. The census offers a good baseline. New York can also track MetroCard use to know how many people are getting on which buses. It has years of GPS data to help determine where their vehicles are most likely to get stuck in traffic. It even has some intel about where ride-hailing companies are picking up and dropping off passengers, offering a better sense of what’s happening on the roads. There’s the good, old-fashioned, underrated human too. “Operators know which stops are the busiest and which are not, and the most successful agencies we’ve seen in redesigning their networks engage operators at the very beginning,” says Kirk Hovenkotter, who studies transit agencies at the New York-based research and advocacy group TransitCenter. The goal is to get a fresh picture of where people are, and where they go, and make the buses match up. If this neighborhood suddenly has hundreds of thousands more people in it, time for a bus line. If this waterfront area has a new ferry, maybe build some connections to it. With those inputs in hand, start craft routes that do cure the maladies that plague many a system. Today, many routes curve and swerve, trying to cover the entire map, and get riders as close to their destinations as possible. That sounds nice, but hurts efficiency—too many stops, too many turns—and leads to infrequent service. Organizations like the National Association of City Transportation Officials have encouraged metros to make long bus routes less circuitous, valuing efficient grid service. Cities are also thinking about cutting down the number of bus stops. This is doubly attractive in places—like a lot of New York—where sidewalk infrastructure makes it easy for riders to walk an extra block or so for the bus. New York (and other cities) are thinking seriously about bus-only lanes, bus stops that don’t block traffic, and traffic signals that give public transit—and not private cars—the jump on green lights. It’s even going for all-door boarding, making it faster to get everybody aboard. When San Francisco’s transit agency did something similar, dwell times at bus stops dropped 13 percent. Cap that off by sending the buses where the people are, and voila: a bus system that might actually work. Now, NYC just has to fix the dang subway. ZURICH (Reuters) – Chipmaker AMS reported first-quarter sales toward the lower end of its guidance range on Monday and warned of a downturn owing to weaker orders from one of its main customers. AMS did not name the customer, but the Austrian company is a big supplier to Apple, making components for the U.S. technology giant’s iPhone. “We are not able to discuss the specific customer, but we are seeing significantly lower business from a large smartphones program and that is having a strong impact on the consumer business and the company as a whole,” said AMS head of investor relations Moritz Gmeiner. For its second quarter, AMS said it expected sales to drop to between $220 million and $250 million, down from the $452.7 million in sales it reported for the first three months of 2018. The downturn was based on weaker orders and lower forecast orders in the months ahead, Gmeiner said. AMS added that changes in upcoming products, which prevented the pre-production of parts, mean that it also expects reduced utilization of factory capacity, which will hit profit margins. The company, which also makes sensors used in cars and industrial gear, said the problem would be temporary and that preparations for ramping up production in the second half of the year remain on track. The Swiss-quoted company also confirmed its mid-term growth and profitability guidance, aiming for a 60 percent compound annual growth rate between 2016 and 2019, combined with an adjusted EBIT margin target of 30 percent from 2019 onwards. First-quarter net profit rose to $99.9 million from a loss of $19.9 million a year earlier. AMS shares have gained 8.1 percent this year, outpacing a Stoxx 600 Technology Index that has gained 0.7 percent. The company’s stock has struggled of late, however, amid fears that Apple increasingly plans to use its own chips rather than buy them from third parties. Weak results from Taiwan Semiconductor (TSMC) this month also spread concern about softer demand for smartphones. Analysts have said that AMS obtains about 35 percent of its revenue from Apple, with mobile phone components making up the vast majority of its business with the U.S. company. AMS supplies optical sensors that play a key role in facial recognition – one of the most distinctive features of Apple’s flagship iPhone X, which was introduced late last year and appears to have helped to drive AMS’s recent results.